If you’re in the market for a powerful yet fuel efficient premium mid-size SUV, here are two options that you could consider; the Audi Q5 50 TDI and the BMW X3 xDrive30d. 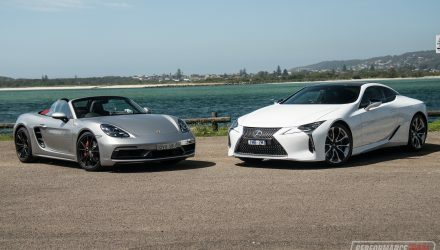 Interestingly, these two are part of a small club of vehicles that offer a very wide and versatile set of values. 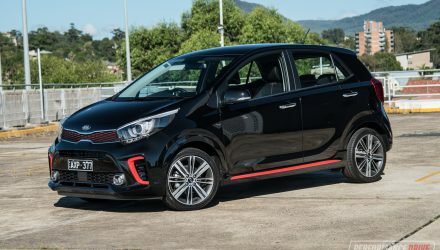 They present 550L of boot space; offer a claimed 0-100km/h sprint of under 6.0 seconds; and come with an official fuel consumption average of around 6.0L/100km. Oh, and they are propelled with the safety of all-wheel drive. 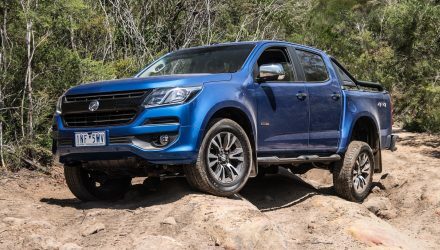 You need to look far and wide on the current Australian market to find other vehicles that offer all of these benchmarks, and all for under $85,000 (retail price). There’s the Volvo XC60 D5, but that offers a claimed 0-100km/h sprint of 7.1 seconds and falls short on boot space (505L). And there’s the XC60 T8, but that’ll set you back $92,990 and still only offers 505L. 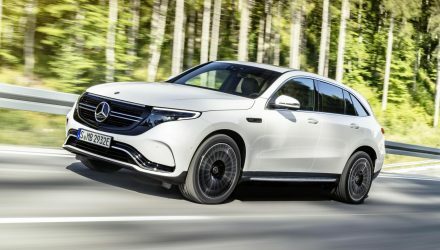 There’s also the Mercedes-Benz GLC 350d but that does the sprint in 6.2 seconds and is priced from $91,715. 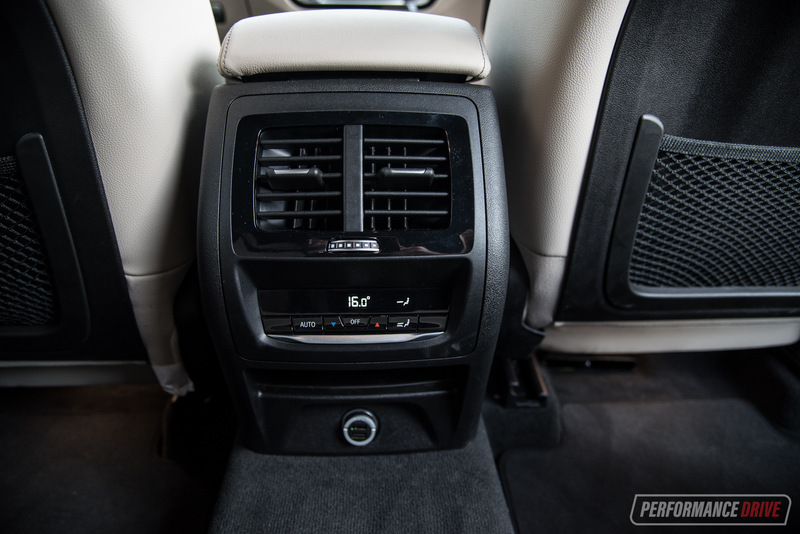 Stepping into different segments, there’s the Skoda Octavia RS, but that’s front-wheel drive and does the 0-100km/h sprint in 6.7 seconds, and has a fuel consumption average of 6.5L/100km – although it does offer 588L of boot space. Really, the only other car that comes close is the VW Golf R wagon, but it’s consumption is 7.3L/100km. 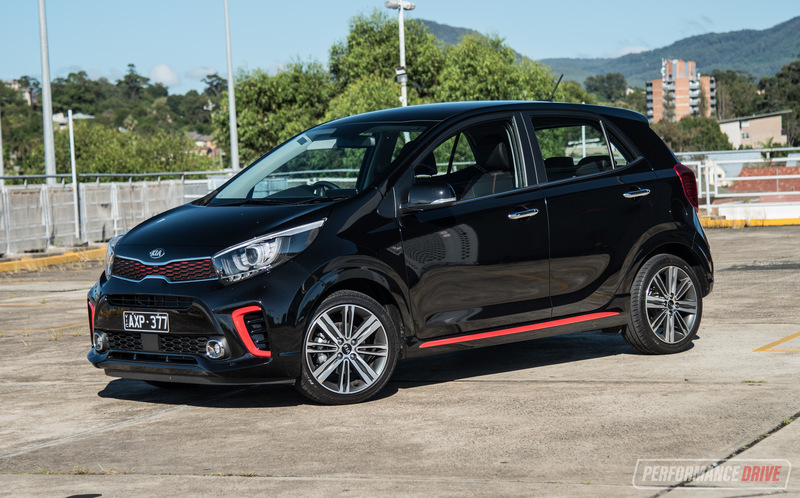 Yes, we know, this is a pretty specific checklist, but we find it interesting that there really isn’t any other cars on the market (that we can find) that can do 0-100km/h in under 6.0 seconds while offering a fuel consumption average of around 6.0L/100km. And all while equipped with a practical cabin. Let’s take a deeper look into these two. Starting with the prices. Audi offers the Q5 50 TDI from $84,700, which is slightly more than the X3 xDrive30d which starts from $82,900 (both excluding on-road costs). But in the Audi you do get slightly more power from the engine, yet this does come at a cost at the fuel station. We’ll go further into that in the drive section below. Styling is obviously a subjective thing and everyone has their own tastes, but we think most will agree the Audi does present a sophisticated design. 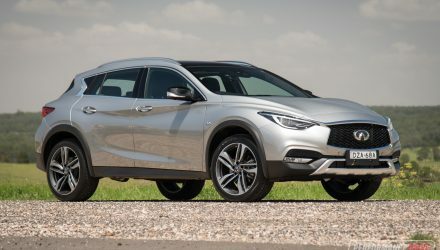 It looks more expensive, with a real sense of grandeur about it compared with the X3. At the front is a nice brushed aluminium-style grille with soft grey tiers, compared to the somewhat tacky chrome-trimmed grilles on the BMW. 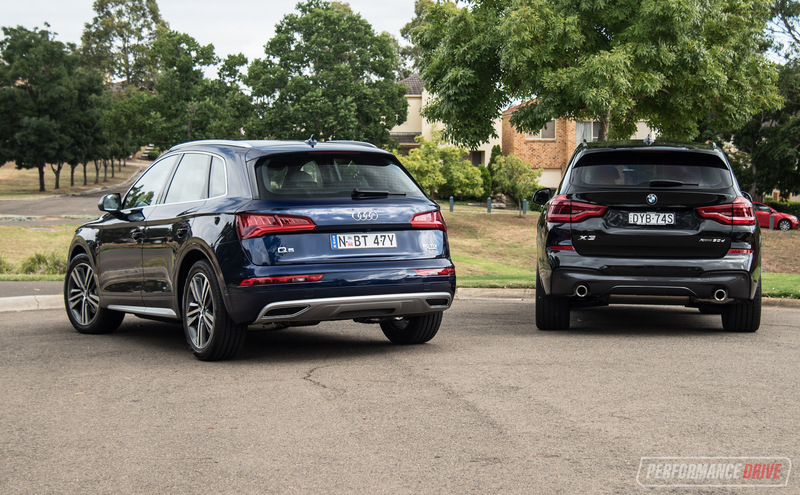 The rear of the Q5 also looks neater in our opinion, although it is starting to look a little aged. The interior is a similar story. Audi interiors of late showcase a beautiful blend of technology and first-class fixtures. It’s the same with the Q5. Down on the solid centre console is a crisp T-shaped gear selector, with a cool touch-pad system in front of it to control the media interface. There’s also fine metallic toggle switches to jump straight into the various menus for the interface. 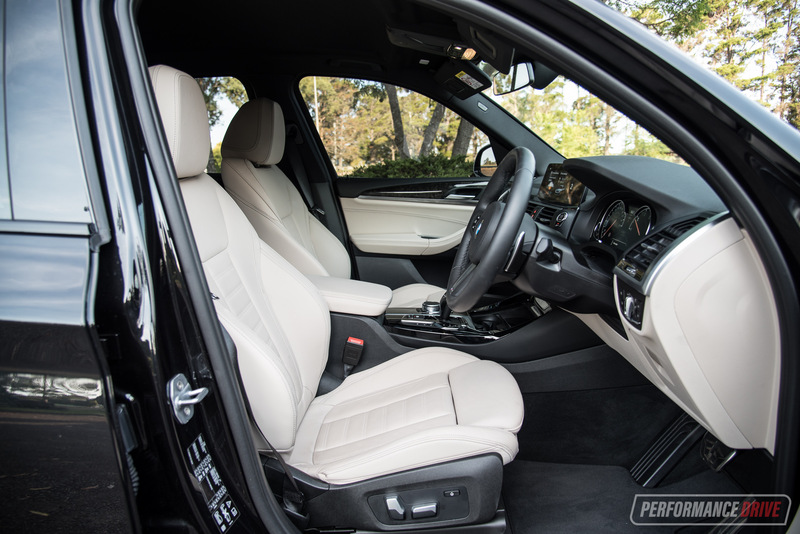 Most of the trim is either soft-touch black plastic or brushed-style aluminium, or leather. For the BMW, this vehicle features an ash wood trim option paired with some piano black highlights. It does look appealing and the colour combination brightens up the cabin, even compared with the almost mono-tone Audi. We like that BMW has fit a black roof liner this time, instead of the cream trim on the previous model. 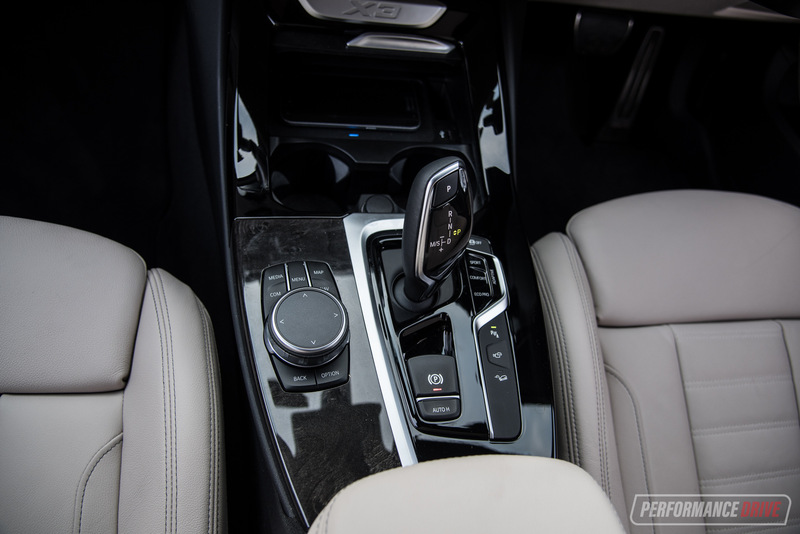 We also prefer the iDrive rotary controller over the Audi’s touch-pad system, in terms of pure functionality, but the Audi’s setup does look and feel more refined. Up on the dash Audi’s 8.3-inch tablet-style display is somewhat inferior to BMW’s 10.25-inch wide-screen unit. In terms of design, anyway. 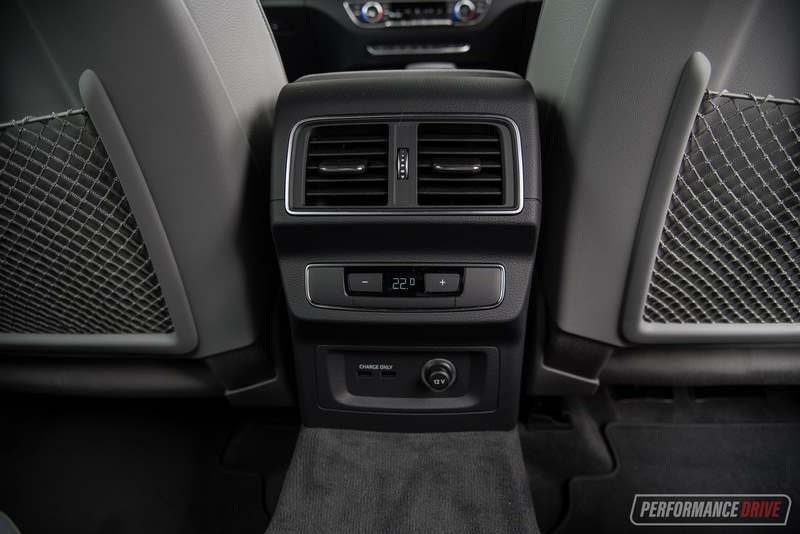 And actually, the upper dash facia of the Audi can seem a little too basic. 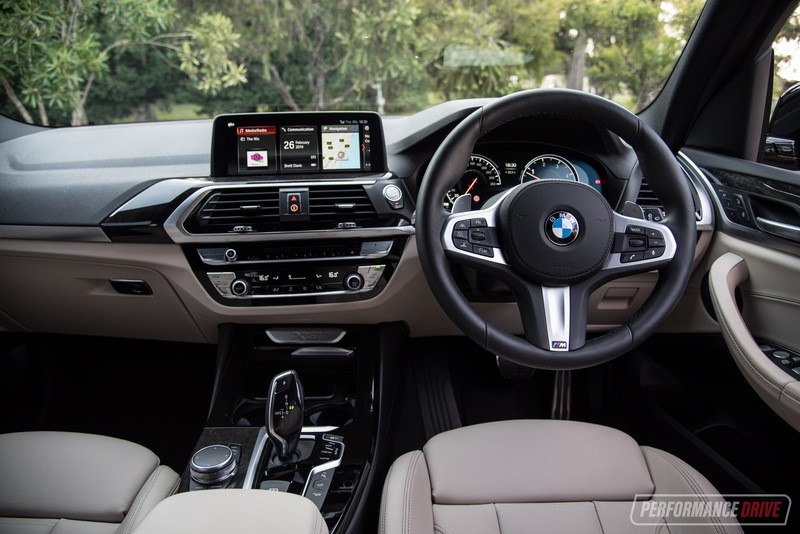 The BMW screen looks like it was designed in with the dash while the Audi’s unit looks tacked on almost randomly. 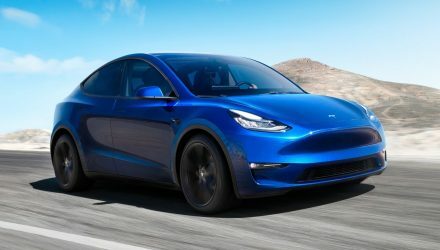 Overall, the fit and finish and build quality seem pretty much identical, although we think the Audi might just stand ahead due to its cleaner and more rigid layout. 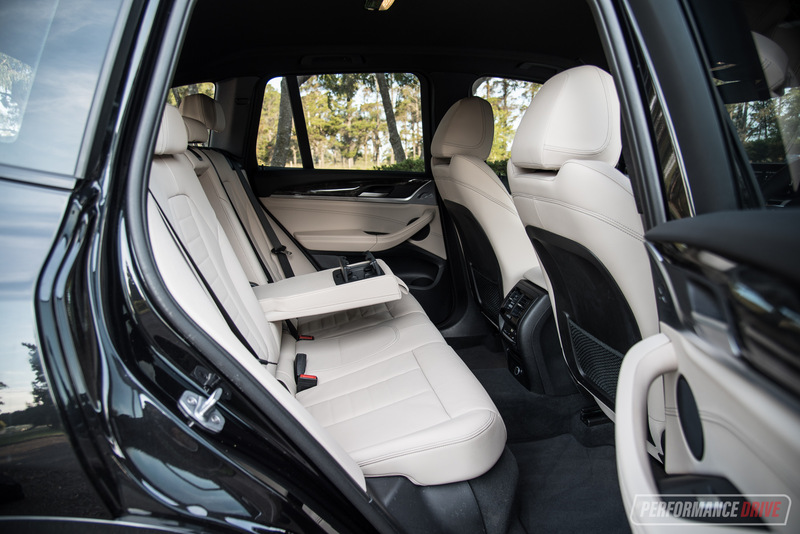 If there’s a saving grace here for the BMW it’s that the interior does offer a bit more character and personality than the Audi. 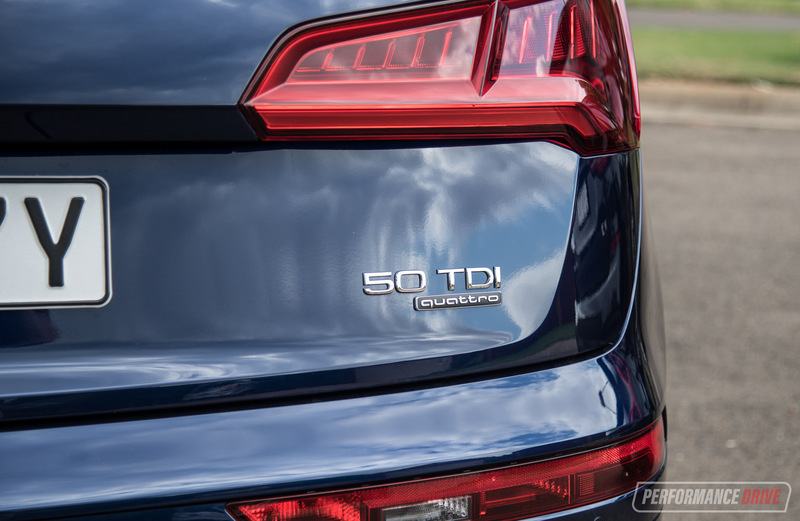 The Q5 can seem very clinical and sanitised, with everything so precisely laid out and the such. Despite what they seem in person, the BMW is (mostly) the largest in terms of external dimensions. According to the specs the X3 measures 4708mm long against the Q5’s 4663mm. 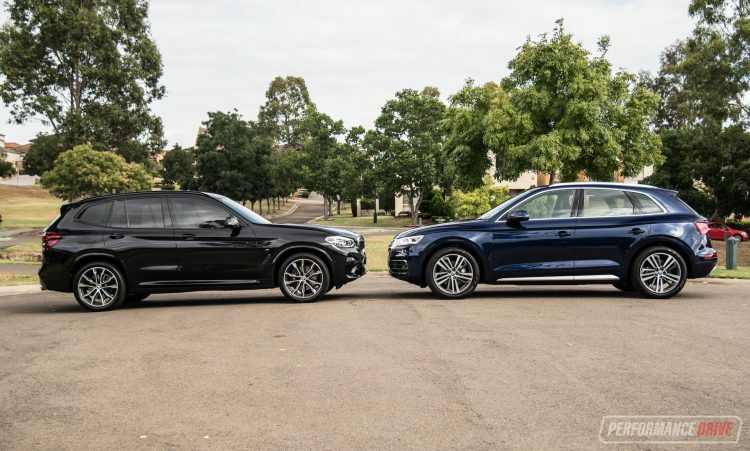 Overall height stands at 1676mm for the BMW and 1657mm for the Audi. The Q5 is wider, though, measuring 1898mm compared with the X3’s 1891mm thickness. 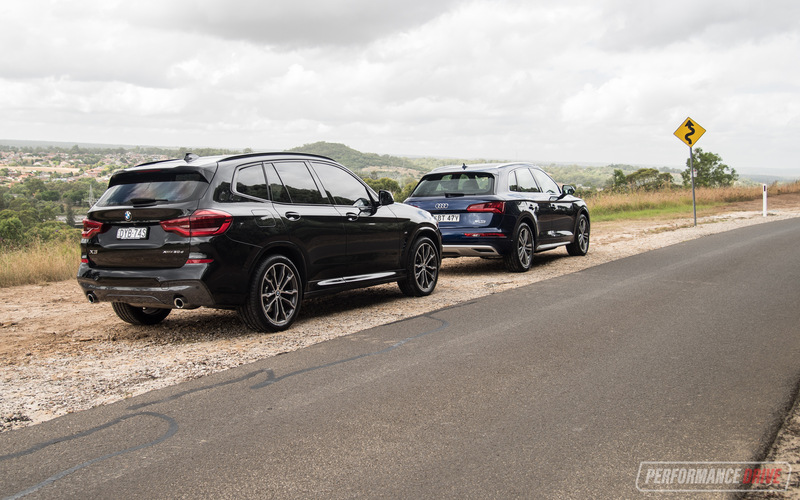 The turning circles are pretty similar, at 12m for the BMW and 11.7m for the Audi, and, if you’re wondering, the ground clearance of the X3 is 204mm and the Q5’s is 208mm. 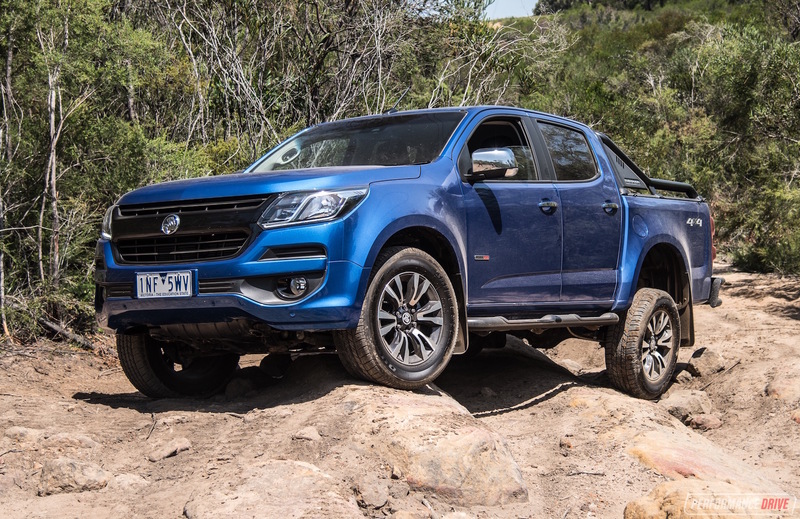 However, neither of these vehicles are capable of providing proper off-road performance. Dirt road driving and driving on slippery conditions such as snow and wet grass is essentially the real-world limit. 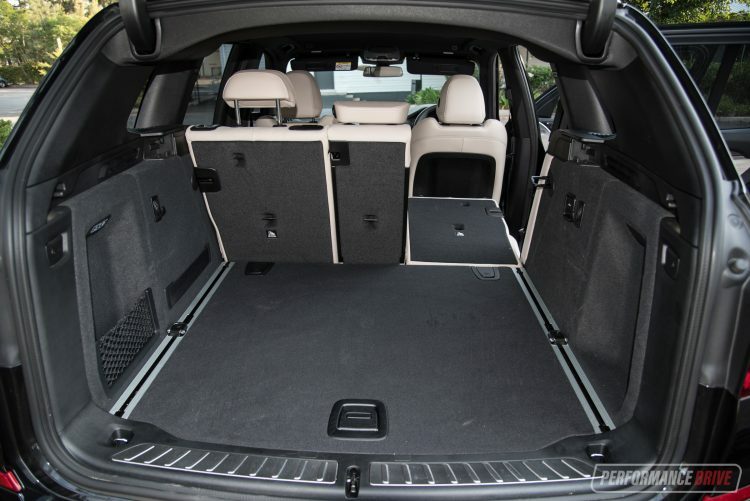 Boot space is almost identical, with 550L in the default layout. However, Audi offers an optional sliding rear bench which extends the space to 610L when the bench is in its forward-most position. 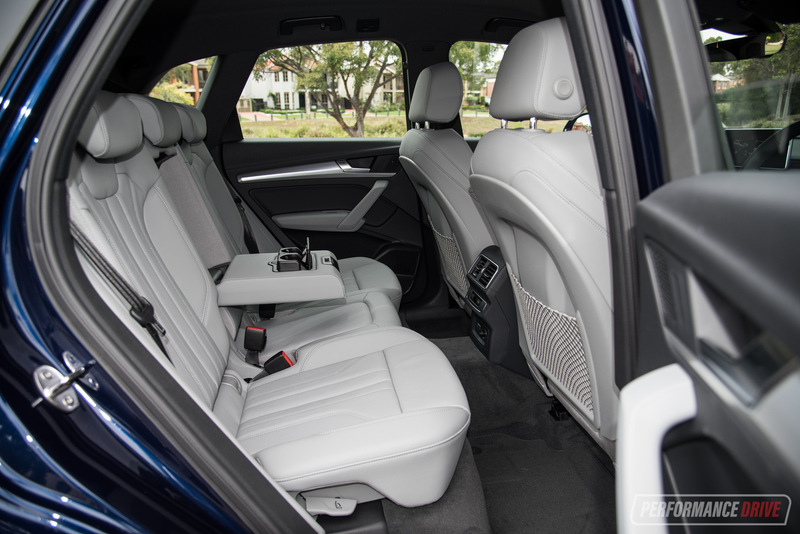 With the rear seats folded down the Q5 presents 1550L to the X3’s 1600L. 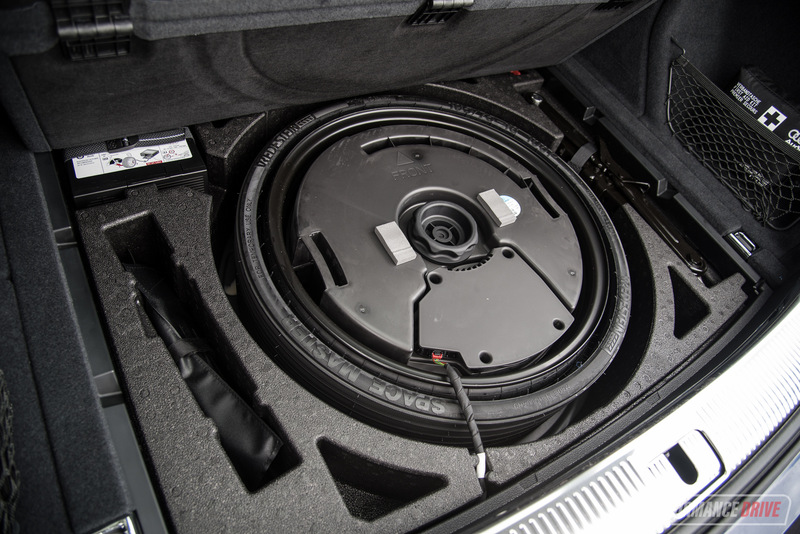 Both feature a 12V socket in the back and both offer the functionality of flipping down the rear seats from the cargo area. 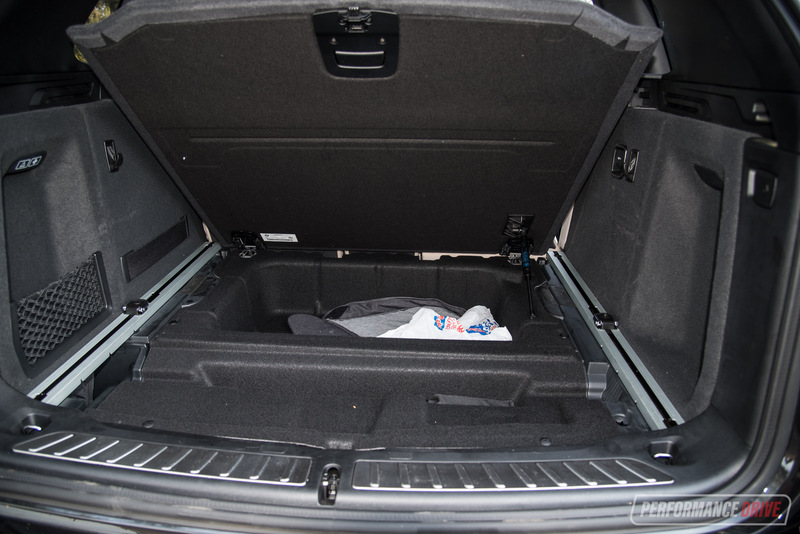 Under the cargo area floor the Audi features some storage pockets but mainly this space is occupied by the space-saver spare wheel. 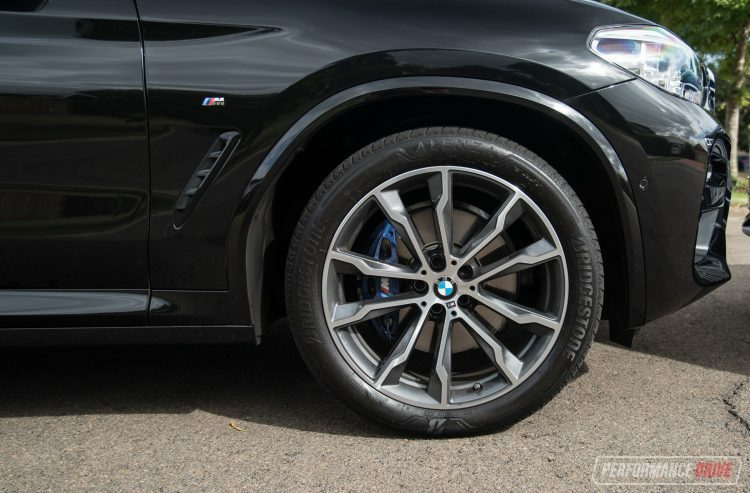 Seen as though the BMW comes with run-flat tyres as standard, there is no spare wheel. This leaves extra storage space beneath the floor. The Q5 50 TDI is powered by a 3.0-litre single-turbo V6 diesel engine that produces 210kW at 4000rpm, and 620Nm between 1500-3000rpm. According to Audi the 0-100km/h sprint is taken care of in 5.8 seconds, while the official fuel consumption average is 6.3L/100km. 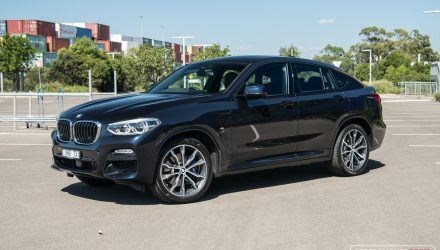 In the BMW is a 3.0-litre single-turbo straight-six diesel engine. 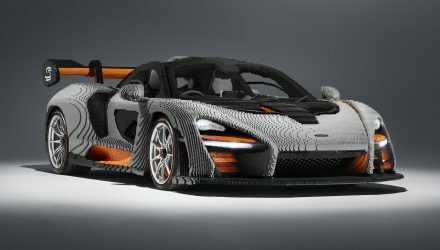 It produces 195kW at 4000rpm, and the same 620Nm but only between 2000-2500rpm. BMW claims 0-100km/h comes up in 5.8 seconds as well, but its official consumption rating is 6.0L/100km. You could argue that the extra power in the Audi causes its fuel economy to rise that fraction more. However, in our opinion it has a lot to do with the weight. 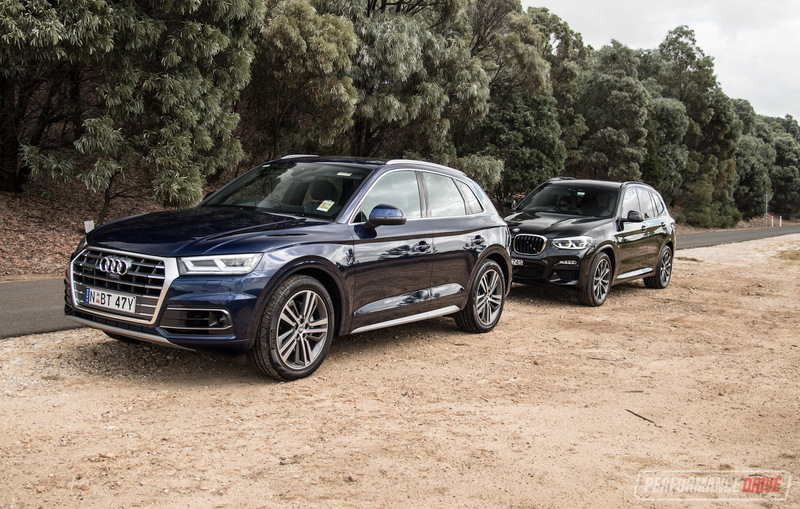 The Q5 weighs in at a hefty 2120kg, compared with 1772kg of the X3. 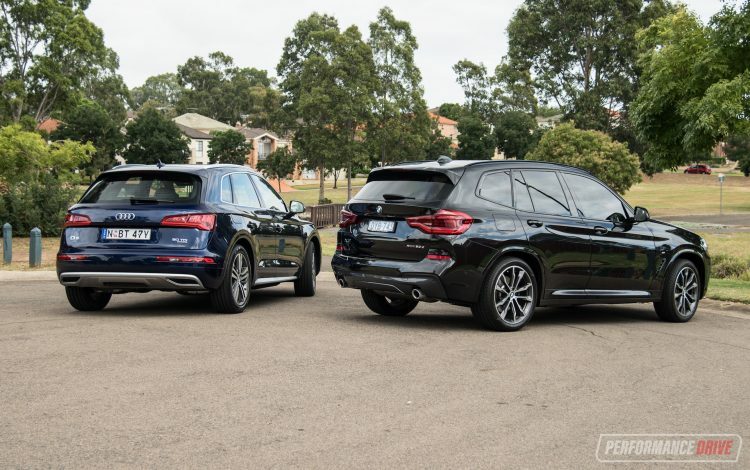 This is a huge 348kg difference for what is essentially the same style of vehicle. 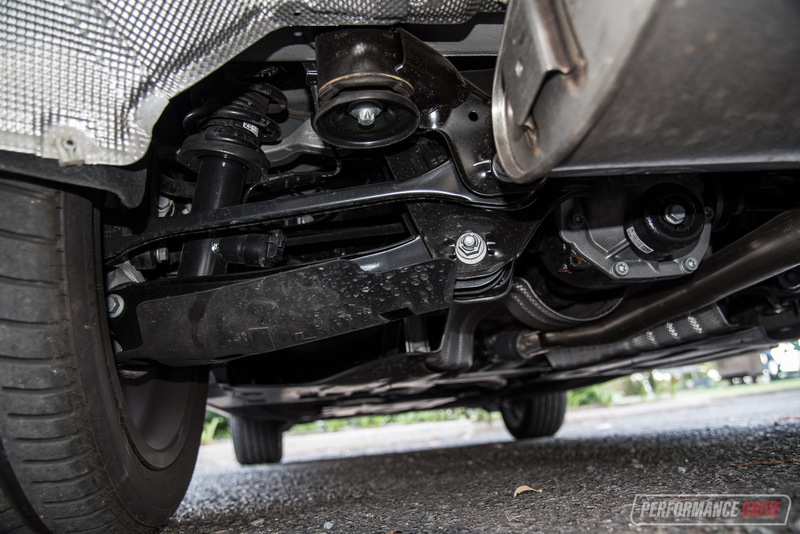 This test car from Audi also features the optional air suspension which could increase the weight even further. Out on the road the Q5 does feel a lot heavier from behind the wheel. In saying that, it has a solid and planted character, and perhaps helps to increase driver confidence. Highway driving is pleasant and smooth in the Q5, and it’s easy to keep the vehicle within the lanes. 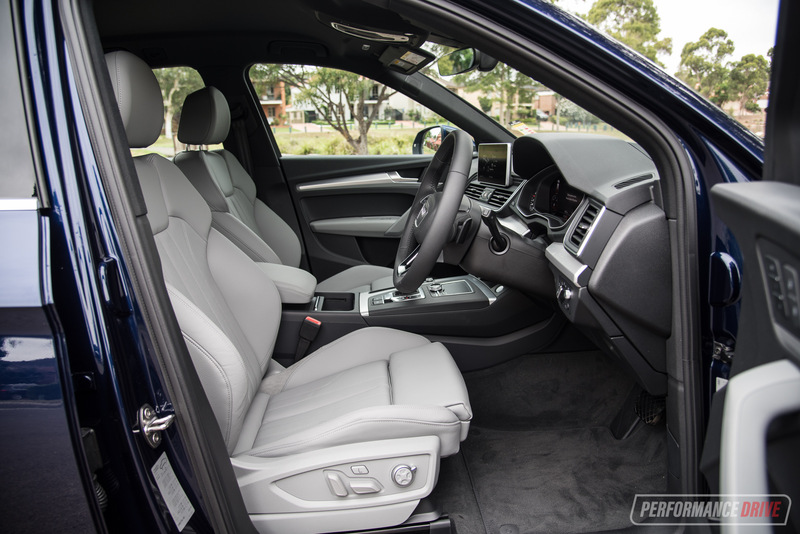 Visibility is also good, although the X3’s more upright cabin orientation does leave taller windows and thus a greater sense of visibility. BMW’s driving behaviour is a bit more interactive. You need to make more tiny adjustments to maintain lane alignment, but there is increased feel coming through the steering wheel. 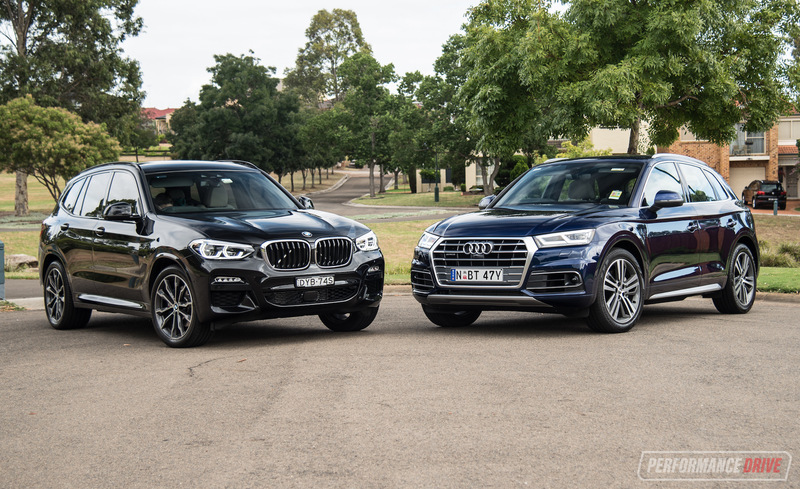 Jumping straight out of the Audi and into the BMW, it’s immediately obvious the X3 provides an encouraging and proactive drive experience, while the Audi is more formal and sensible, albeit a bit detracted from the driver. Around tight, twisty bends this obviously means the BMW is more fun to drive. However, the Audi does hang on well when really pushed, and remains committed and surefooted. It simply doesn’t communicate that it’s having fun in this environment. 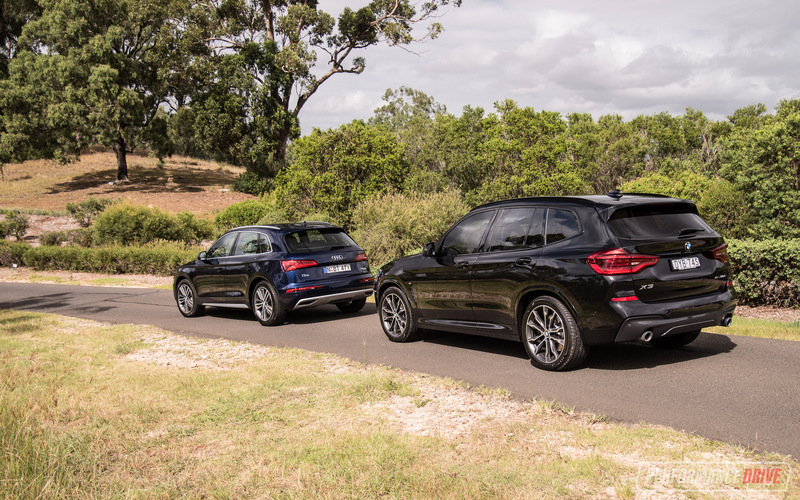 In the X3 you can actually provoke slight tendencies to oversteer or understeer, depending on how you set up the car during corner entry. 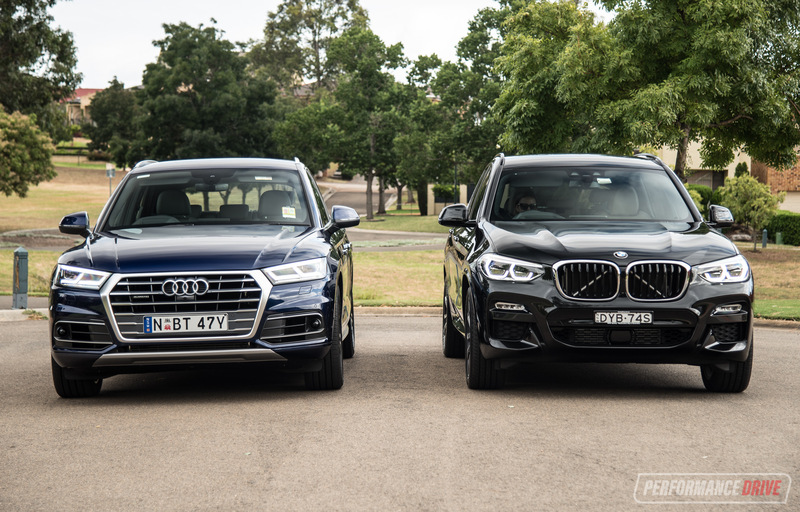 In that sense, the BMW offers a wider capability, while the Audi is more of a one-trick pony. In fairness this X3 example here is fitted with the optional M Sport pack, which includes adaptive suspension. 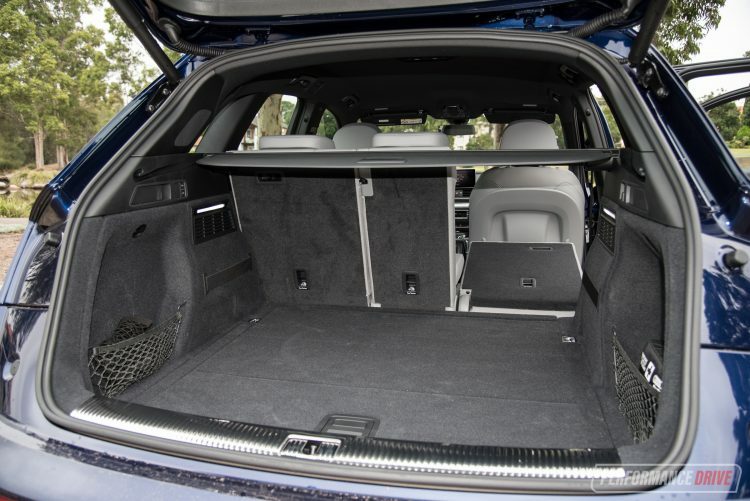 But, the Q5 does feature the optional air suspension setup which also provides a taut sports mode. 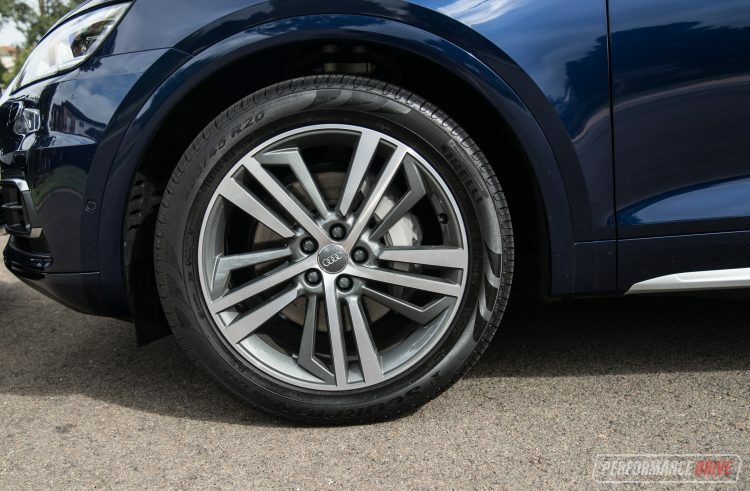 Both feature 20-inch alloy wheels as well. These are wrapped in 255/45 tyres on the front and rear of the Audi, while BMW goes for a staggered arrangement with 245/45 on the front and 275/40 on the rear. 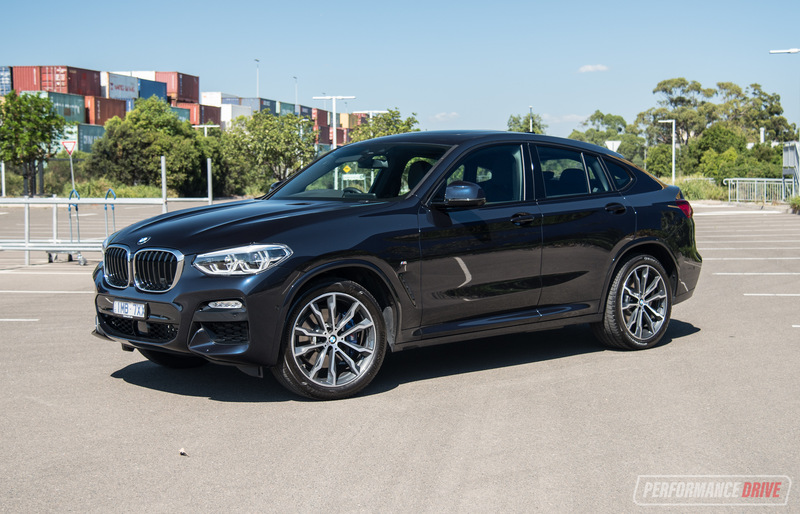 Overall, the BMW is nimbler and more capable in the corners, as you might have expected. And again, we think the weight difference plays a big role in this. Across the standard straight-line sprint, the lighter weight X3 offers quicker acceleration according to our Racelogic Vbox Sport. 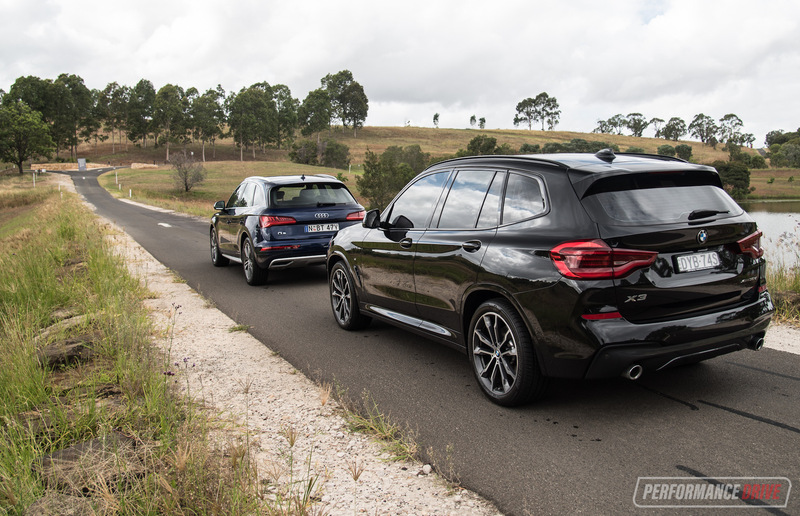 Despite both manufacturers claiming a 5.8-second time for 0-100km/h, we tested the two on the same road, with the same driver, on the same day (with near a full tank of fuel), and the X3 edged out in front quite easily. The best run was just 5.49 seconds in the Beemer and 6.31 seconds in the Audi. Check out the video below to see how they went. Aside from the S in SUV (Sports Utility Vehicle), either of these vehicles is perfect for a wide variety of occasions. They are suitable soccer mum cars, offering useable space inside and easy driving manners around town. 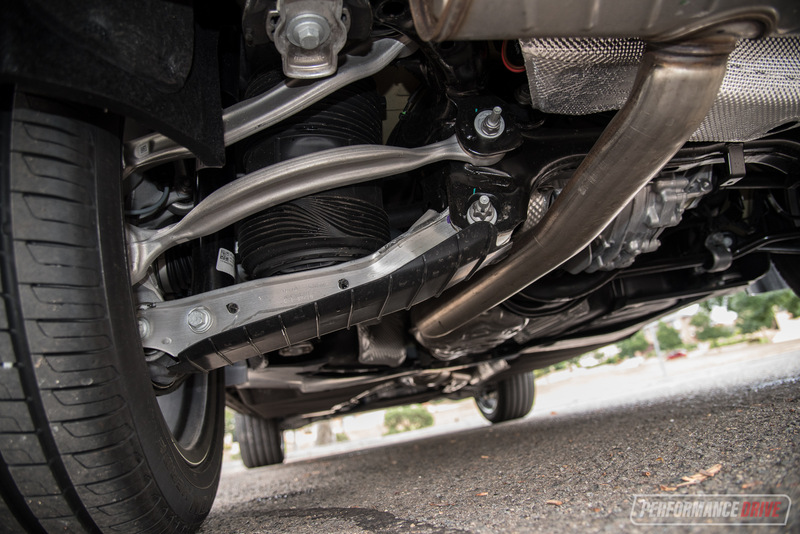 The higher ground clearance also makes them hugely beneficial for young parents, as packing the baby in and out of a baby seat doesn’t require uncomfortable bending down. As mentioned, visibility is also great and there is a commanding driving position in both. As for the fuel economy, well, you might not believe it but during our tests they both reported an average consumption of 7.2L/100km. We think this is very respectable considering their performance and effortless highway cruising and overtaking ability. Keep in mind they are both all-wheel drive as well, which usually contributes negatively to fuel figures. 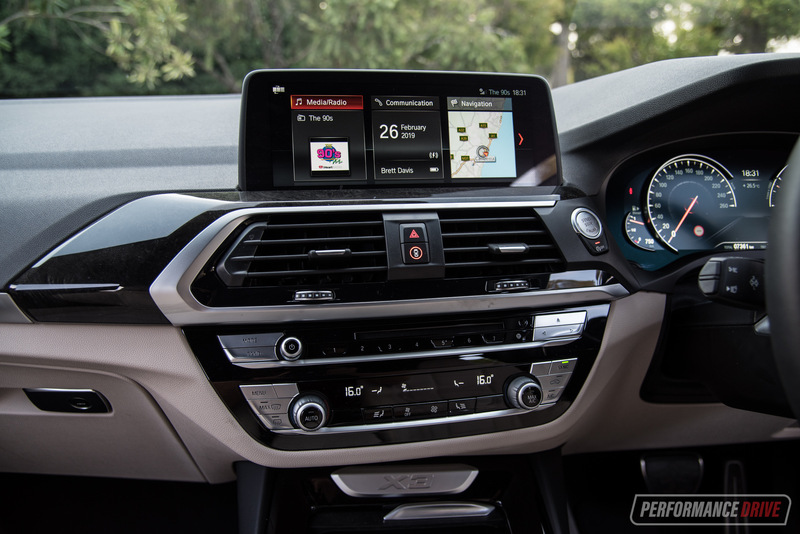 As you might have predicted, the BMW is the more engaging and more enjoyable driver’s car. 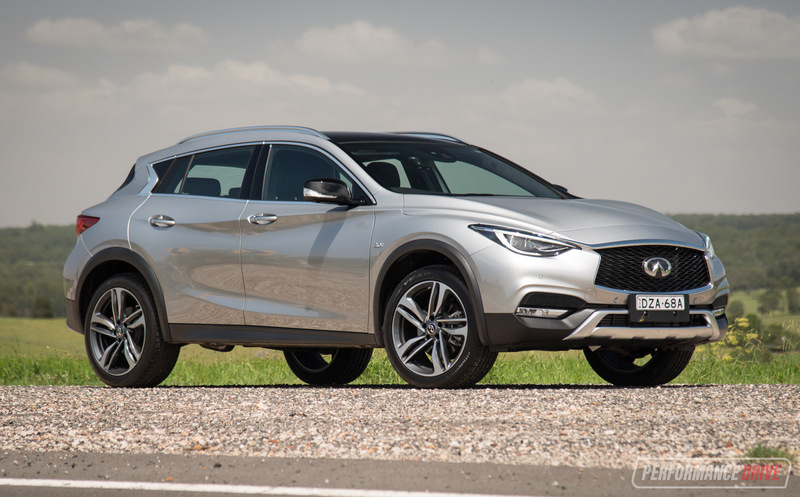 It is an SUV so it doesn’t offer the outright pleasure and capability of a BMW sedan or coupe, or many other sports cars for that matter. But in our opinion it sits at the top of this class for that kind of thing. 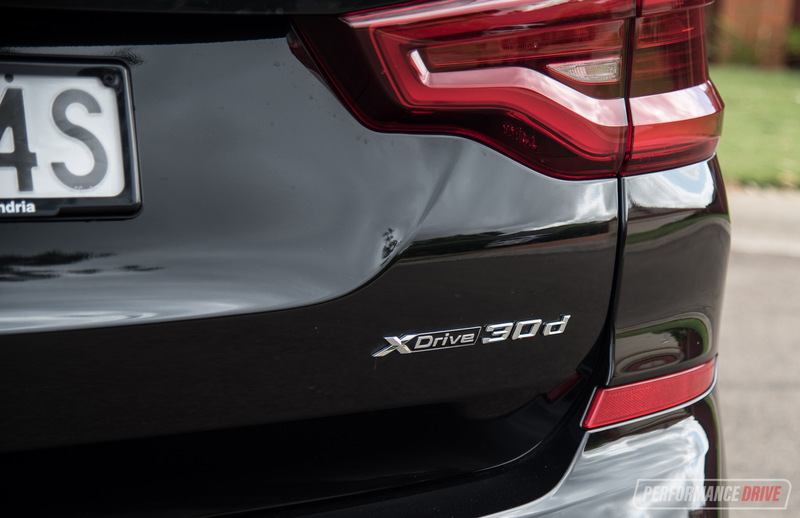 While the Audi might not be able to keep up in terms of driving enjoyment and performance, it does trump the X3 in many other areas. So who wins? If it were my money I’d take the BMW. And in fact I did. This black example here is my wife’s car which we recently bought. But I only went for this because I put driving enjoyment at the top of my priority checklist. 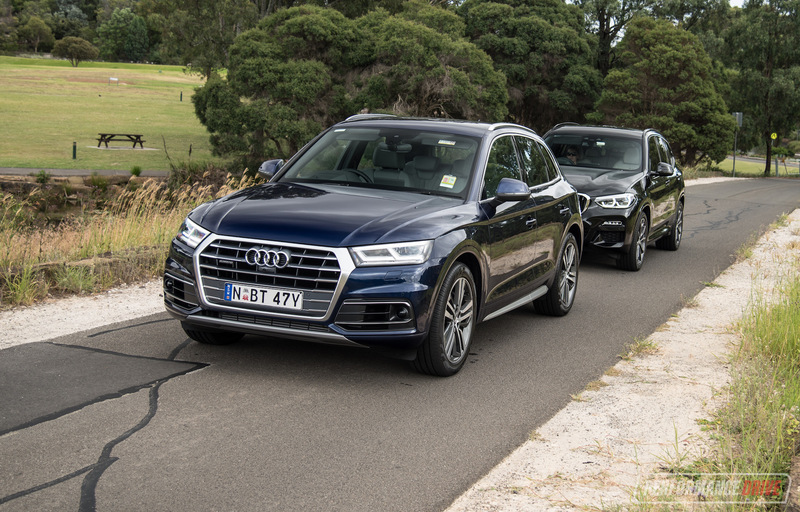 For those of you more interested in technology, comfort and luxury, and precise design, you’ll likely appreciate the Q5 more.